on camels for trading with people from different communities. Klebsiella species is a Gram-negative rod and is often found in hospital patients. hun to bas ek hi baat mind main rehti hain ki,. All countries have committed war crimes in any war. These post-Second World War ‘trials’ were nothing but kangaroo courts orchestrated by ‘the victors’, who established this ‘New World Order’ we, ‘the commoners’, are to live in. The real criminals are zionist families that have financed and arranged both World Wars. If those who served the Axis are to be on trial just for doing so, then, as well, veterans of Allied nations could answer before the court for what happened in Allied occupation zones of ex-Axis countries. 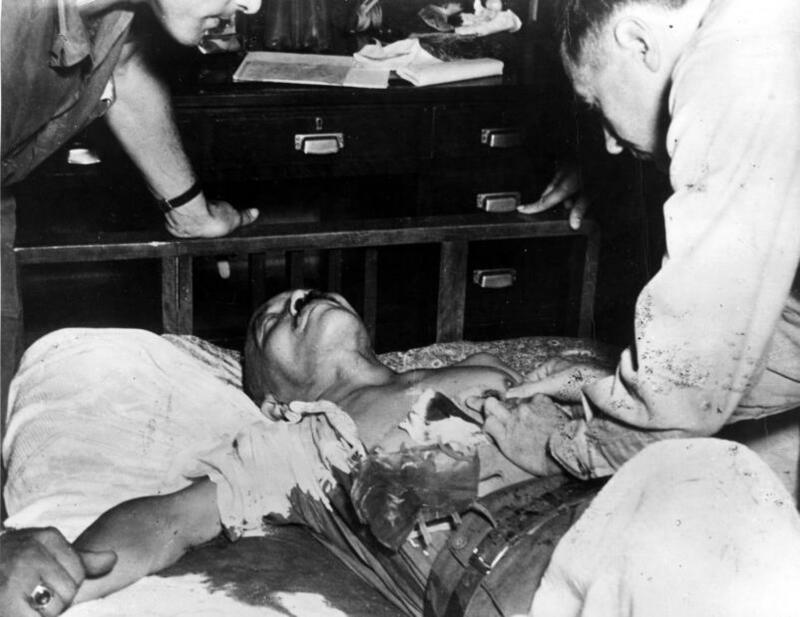 The only real crime of Tojo, or Keitel, or whoever, was to surrender without conditions. I just stop ready when the Jew Hatred starts………..
From the invasion of China until the last shot was fired in 1945, the Japanese committed war crimes. This was done with the full knowledge of the high command and the evidence for this is both overwhelming and indisputable. This also goes along perfectly with the Japanese of today being unable to admit their guilt pertaining to the war, choosing rather to focus on the A-Bomb drops so they can play the victim. All of this is absurd, but it’s the way the Japanese have decided to play it. While the article was almost silly in it’s naivete and agenda driven. (tho… I don’t understand the “why?”) If anyone can show that Emperor Hirohito gave any orders what-so ever – or was even consulted in any way as to the direction of the war – PLEASE, prove me wrong. The comments however, especially concerning Netaji Subhash Chandra Bose were VERY interesting. That is a topic I will read further upon. No, Tojo was not the Hitler of the East (this doesn’t mean he wasn’t one of the Japanese war criminals, but he never was so powerful to be called a “Hitler”). As Max Hastings wrote, “the reality is that Tojo had less authority in Japan than Churchill had in Britain.” Tojo was a loyal servant of Emperor Hirohito and his actions must be evaluated on that light. 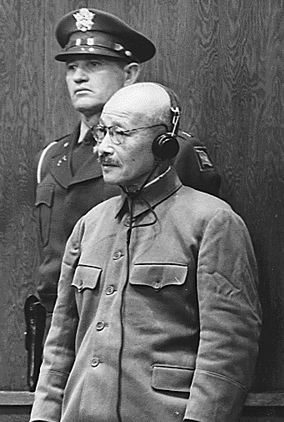 truly tojo was the Hitler of the east very evil. British Indian archival documents show that during the dying months of World War II, Viceroy Wavell and senior British officials did not want Netaji Subhash Chandra Bose brought to India even as a prisoner. The surviving documents reflect British preference for dealing with the leader ‘on the spot’ – whatever that meant. On the other hand, Bose was focused on stimulating a post-war internal Indian upsurge against the British Raj. Subhash was convinced that India’s partition was inevitable if the British Parliament were allowed to “transfer power” under an act of the British Parliament. (Gandhiji in 1946-47 had the same fear. He wanted the British to leave India and allow Indians themselves to find a solution to the Muslim League’s demand for partition along religious lines). Bose’s aim in 1945 was not just to escape the British pursuit. He had foreknowledge of Japan’s decision to capitulate. In the spring of 1945, he had wanted personally to lead a military challenge against the superior forces of the Allies. He wanted to court death in this battle. Suicide was not the aim of this move. He thought that, after Aung San of Burma switched over to the victorious British side at the last moment, the INA needed to set an example of patriotic bravery in battle. He felt his own death in battlefield would stimulate a new phase in India’s internal freedom struggle. He was dissuaded from this course because two divisions of the INA were still intact and he thought of a new role for this patriotic Indian military force in the postwar situation. Unlike other leaders of the Japan-occupied Southeast Asian countries, he, at one stage, thought of staying with INA troops in Singapore to await the arrival of the Mountbatten-led British Indian occupation force. This course was abandoned on August 14, 1945, on the advice of the members of the Azad Hind government and other important officers of the INA. On Aug 14, 1945, some information was brought to him from Thailand. This information led him to abandon the plan that the INA troops with Netaji as their head, should await the capture of Singapore by the British occupation force. There is no record of the information that caused the Azad Hind government to ask Netaji to fly to Tokyo for final consultations with the Japanese government. Is it likely that Netaji had been forewarned of the British preference for dealing with him “on the spot”? Netaji had not rejected the idea of his being taken to India as a prisoner. 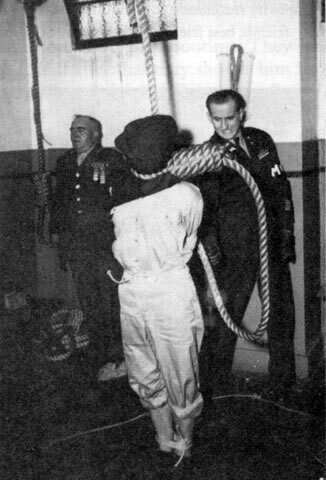 Did he fear that he would not be taken to India as a British prisoner? He knew of the existence of the Allies’ spies and operatives in the INA and the Anglo-American forces and agents operating behind the Japanese lines. As the war drew to a close, important but vulnerable people changed sides. They acted on the Allies’ directives. The INA, too, had been penetrated by persons who were Allies’ operatives. Even in Japan there were important people who wanted to please the victors. They were ready to pay the price the new masters demanded of them. Netaji Subhash Chandra Bose knew that he was in a veritable snake pit. It is necessary to bear this fact in mind when the story of his death in an air crash on August 18, 1945 is read. The British Foreign Office had ordered the assassination of Netaji Subhash Chandra Bose in 1941, just after he had made his “grand escape” from Kolkata. But his decision to change route and reach Germany via Russia had scuttled their plan. Eunan O’Halpin of Trinity College, Dublin, made this claim while delivering the Sisir Kumar Bose lecture at the Netaji Research Bureau on Sunday. O’Halpin said the British Special Operation Executive (SOE) (formed in 1940 to carry out sabotage and underground activities) informed its representatives in Istanbul and Cairo that Bose was thought to be travelling from Afghanistan to Germany via Iran, Iraq and Turkey. The orders had come from London. “They were asked to wire about the arrangements made for his assassination. Even in the midst of war, this was a remarkable instruction. Bose had definitely planned a rebellion to free India, but the usual punishment for this was prosecution or detention, not an assassination. He was to die because he had a large following in India,” said O’Halpin. He added that it was strange that the British did not consider any alternative. If British agents could get close enough to kill him, they surely could have attempted to capture him. The fact that any trace of London’s orders to assassinate Bose remains in official records is just as striking. O’Halpin handed over relevant documents to Krishna Bose, former MP and wife of late Sisir Bose. The British Foreign Office did not learn about Bose’s arrival in Germany in April for two months. Towards the end of May, the London office was told by Delhi that Bose could still be in Afghanistan because there was no radio propaganda from Russia, Italy or Germany as they had expected. This was despite the fact that a message had been decoded in March confirming Bose’s departure from Kabul. On June 13, 1941, the British SOE confirmed to Istanbul that the assassination order still stood. After Japan surrendered to British- American, again scope came for British to utilize a surrendered Japan against Netaji. So, British must have utilized this new opportunity and assassinated Netaji in secret. Thus Netaji assassination is common program of Japan and British. Defeated and surrendered japans had not worked as azad hind ally. On the contrary they worked as per order of their new mentors, the British. AZAD HIND FAUZ had fought for right purpose but in the wrong side. The diary of the World War Two Prime Minister of Imperial Japan, General Hideki Tojo, was made public by his wife, as per his wishes, many years after he was hanged in 1948 for war crimes. There were reports in some Japanese newspapers that in his diary, General Tojo had written that India was to be conquered by Japan with the assistance of Subhash Chandra Bose and the Indian National Army, and after that was accomplished, Bose was to be exterminated by the Japanese. This item of news did not speak well for Bose, and was therefore suppressed by the Government of India as well as the Indian media. The sum of it all was that Bose joined the wrong forces, and had to pay dearly for his folly. The British gave India independence in 1947. Had India been a colony of Germany or Japan, God only knows if and when it would have ever got its freedom. Iam in the process of writing a novel which involves the behaviour and crimes committed against Chinese, Asian and Eurasian civilians in Singapore 1942-1945. I have a limited amount of information gained from people I worked with whilst serving in Singapore with the RAF in the early 1960’s. Would appreciate any facts or information relating to Japanese activity at this time. Ed Nichols read “Unbroken” but is apparently in disagreement with the hero of the story, Louie Zamperini, whose eventual philosophy–coming after his Christian conversion– led him to forgive his evil captors. I have just finished reading “Unbroken” by Laura Hillenbrand. I think every Japanese should be required to read it. Why were we so lenient to them after the war? We should have hung the emperor and kept the country under our iron fist for at least a hundred years. Gen MacArthur or Washington decided to keep the royal family out of any responsibility in order to have a leader capable of keeping the country united and under control. The emperor was considered a deity and put him on trial was impossible. It must be remembered Russia, the old ally and new enemy, was few miles away, and there was need of a new ally in the region. More or less the same policy applied with old Nazis enemy, the new enemy was Russia and was compelling stop communism from expansion. official reason being that we did not want to upset the Japs. Even though Hideki Tojo played a major part in Japan entering World War II, Emperor Hirohito was ultimately the major person responsible for the War. He was given a pass by General MacArthur and Tojo was coached by the Americans in saying that the Emperor had no part in World War II during his trial. Tojo’s love for the Emperor to see that no fault would be placed on him made Tojo to lie during the trial. Emperor Hirohito should have done the most noble Japanese method for serious offenses by committing seppuku (harakiri). One of your sources, VHO.org, is an organization of Holocaust deniers. I’m not sure they’re credible enough to use in your article. Are you sure the Tojo “War Diary” is even authentic?